Included in this recyclable container is a four-month supply of our all-natural dry deodorant. 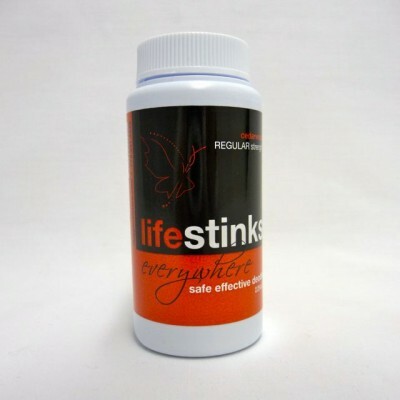 Made with just three simple ingredients – aluminum-free sodium bicarbonate, tea tree oil and lavender oil – lifestinks is 100% effective without any toxins. We have worked with Australian botanists to ensure our botanical oils are pure, gentle and effective. Cedarwood, when combined with tea tree, elicits a warm, buttery, woodsy experience that offers gentle dryness while allowing for healthy perspiration.